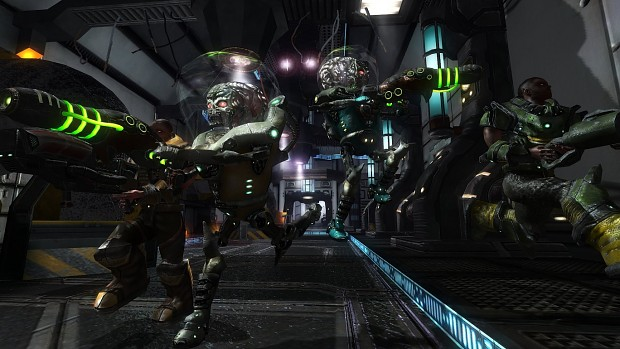 Reboot of free and open source game Alien Arena is almost complete. Titled "Warriors of Mars", the game will be releasing this June; featuring new artwork, new technology, updated levels, characters and weapons. The CRX engine that powers Alien Arena is very scalable and it can run well even on older hardware while still delivering smooth, slick graphics and visual effects. The game combines some of the very best aspects of classic deathmatch, and wraps them up with a retro alien theme, while adding tons of original ideas to make the game quite unique. With game modes such as Capture The Flag and Tactical, there are terrific team-based experiences to be had as well as 1v1 duels, free-for-all, and dozens of mutators to alter the game play to your liking. The game is currently on Steam Greenlight, upvote it if you would like to see it on steam in future.